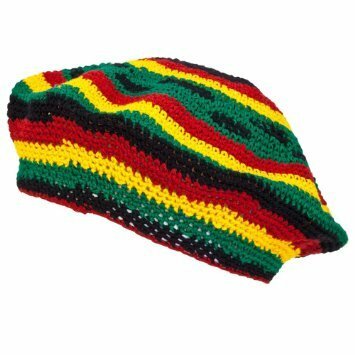 Hand made Crochet Rasta Reggae Hat. 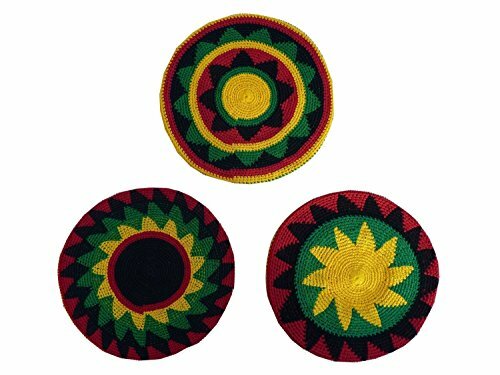 Authentic Jamaican Rasta Reggae Colors, and Designs. Light weight and comfortable to wear. 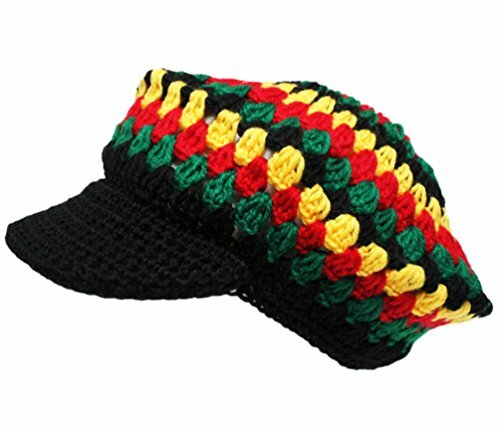 Can be used as Party, Beach, or Casual wear. Also great for Halloween Decoration, or a party favor. 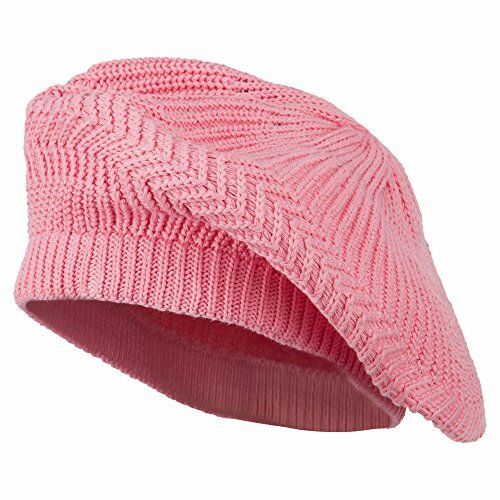 Awesome knitted beret tam hat! 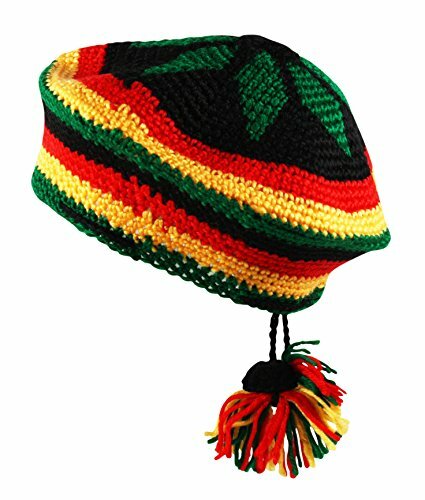 Rasta inspired with the red, yellow and green colours! Excellent classic shape and fit (one size fits most!). With visor. 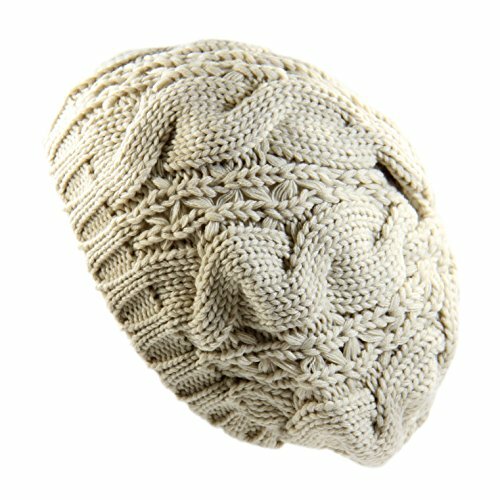 Awesome Itzu branded crochet knitted beret style tam hat with bobble! 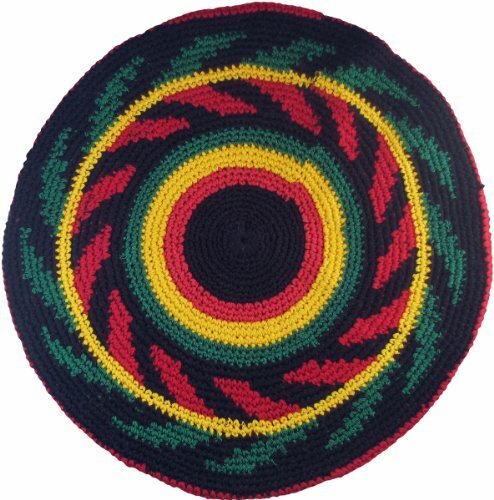 Rasta inspired with the red, yellow and green colours! 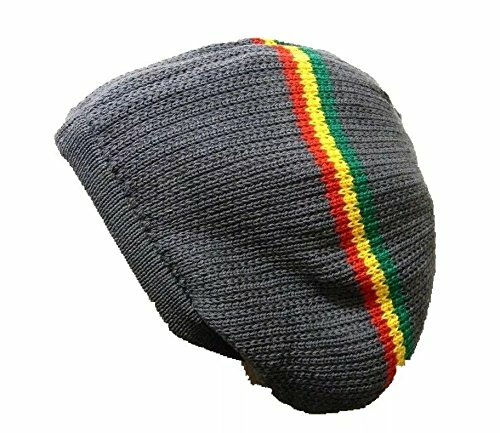 Excellent classic shape and fit (one size fits most!). 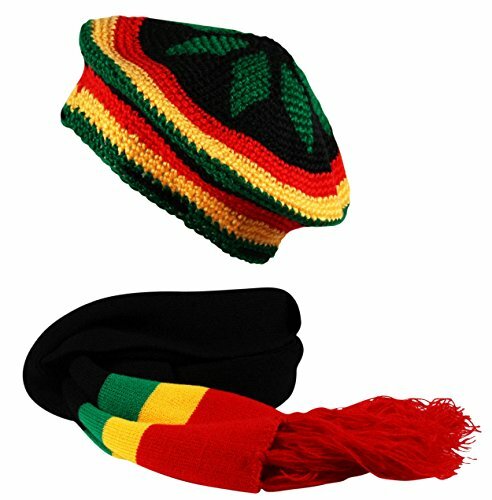 Shop 100+ rasta inspired clothing and accessories at Urban Dealer! 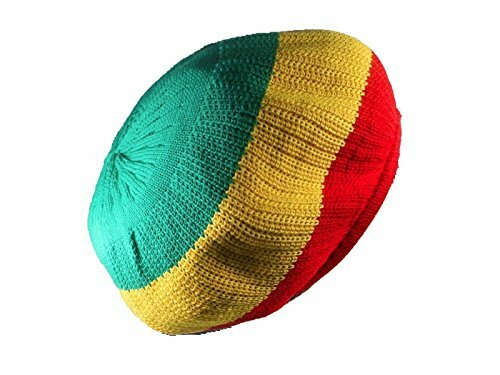 HOW TO CROCHET A RASTA HAT, snood, tam, beret.